A 3 storey reinforced concrete building suffered earthquake damage in the February 22nd 2011 Earthquake. 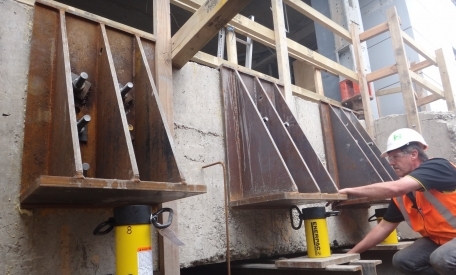 The designer’s solution was to widen the existing ground beams currently supporting the building, to do this there was piling undertaken down both sides of the beam, one set of piles was outside the beam in a narrow alleyway and the other line of piles was undertaken inside the building as shown, this had to be done without removing existing partitions, walls and windows. 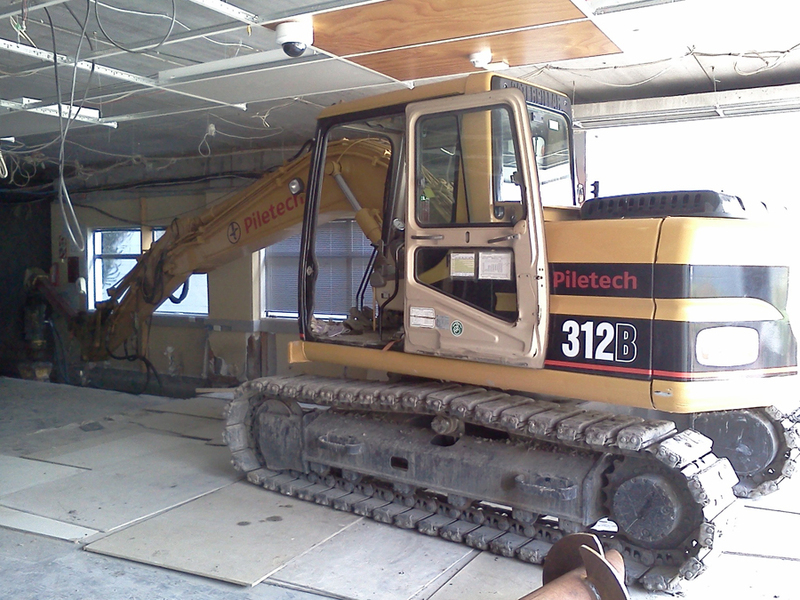 At some stages there was as little as 20mm clearance between the ceiling and the roof of the digger and 10mm between the tracks and walls on both sides of the excavator. The southeast corner settled by 50mm and had to be relevelled and the rest of the building was underpinned. 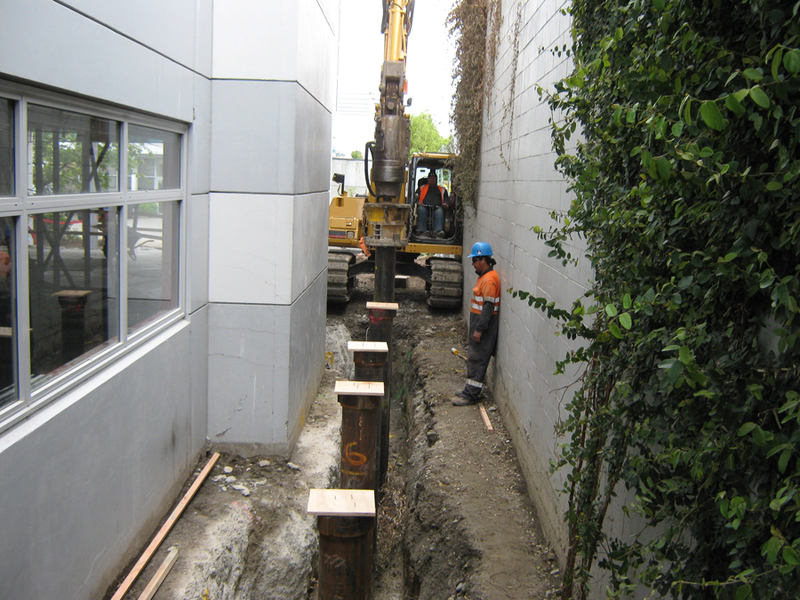 A 16 port sync lift system was used to relevel the building and bring the corner up in an incremental lift. 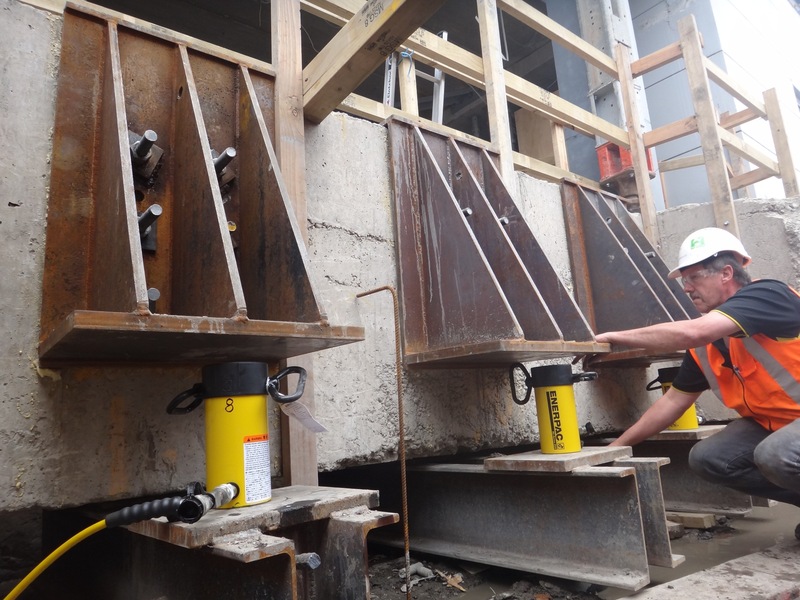 The rotation of the beam was carefully monitored during the lift and the hydraulic jacks had to be synchronised either side of the beam. 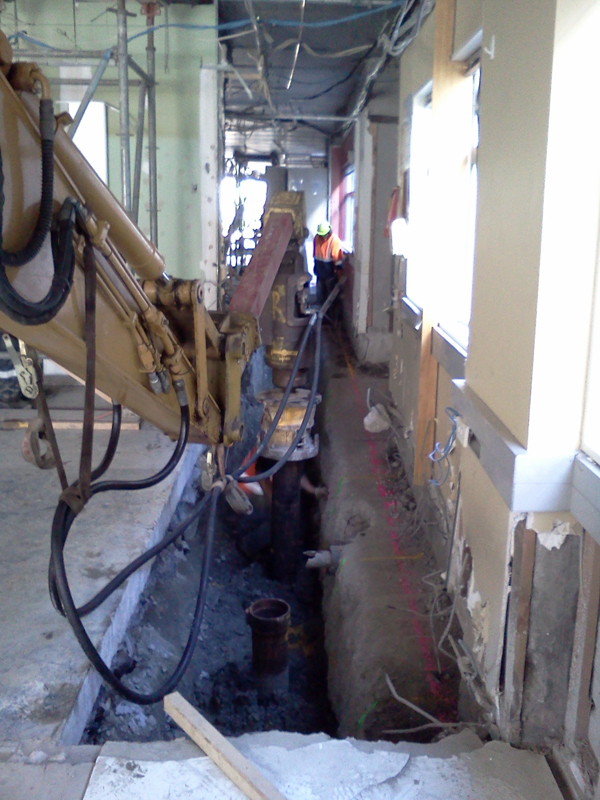 The jacking piles were connected to the existing beam after the relevel was completed.